Zen Pinball makes awesome tables: they're all fun! 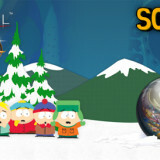 Zen Pinball 2′s South Park table set is on sale for 50% off for the next week on just about every system imaginable. Click in for a review and to see if it’s worth your time. Currently with a reduced price of $2.49 and cross-buy compatible, Pinball FX fans who have yet to jump at picking up the South Park pinball tables currently have a chance to get it for less than the original retail price. Is it worth your time? The two tables are crafted well: Zen Studios knocks it out of the park (pun intended) with ramps that are lined up perfectly for quick races back and forth across the table. There are plenty of in-jokes to be had on both tables for diehard fans of the series. Even having not seen much of the show since my high school years (1998….really? These kids haven’t grown up yet?) I still found a chuckle or two that harkened back to the big bits I remember. Butters, having been an addition after my interest in the series waned, didn’t hold my attention as much as the other table, but it still had a fun play field. Zen Studios has a really sweet deal set up: they’ve crafted the ultimate pinball engine, and have put together a graphic style that is authentic yet surreal, where the board itself looks as if it could be in your local arcade if it weren’t for the animated characters dancing across the tabletop or the fact that it’d cost several hundred thousand dollars to create such a complex device even without them. This means they can take their time crafting a quality table and putting their heart into each table. The table set has been out for a while. Fans of South Park who enjoy pinball may have already purchased it, whilst Zen Pinball addicts will have already picked it up due to the multiplier it adds to their wizard score. If you fit in either category and have yet to buy it, this sale is a no-brainer. If you don’t like pinball….why are you reading this? If you aren’t a South Park fan, many of the jokes will get lost on you, but it’s still a fun pinball table set. My only actual gripe has to do with the activation of bonuses. Going in cold turkey you might get lucky flipping the ball back and forth, but the only way to know how the multipliers work is by digging deep into the game’s personal instruction manual. Even then, you may find it difficult to unlock the whole “story” that transpires during the game due to the myriad of specifications you have to hit. Definitely one for the collection, but I doubt I’ll be jumping on my Zen Pinball program just to play South Park. It’s welcome to the rotation though.